Description: The mystery surrounding their father’s criminal accusations is almost as hard to solve as the many puzzles springing on their hearts. I have a confession to make. I pushed my way through watching two different versions of Sense and Sensibility and did not enjoy either. Marianne drove me crazy with her over-dramatizing of everything and, while I loved Elinor, she couldn’t save the films for me. However, I knew I loved Bryant’s work, and so I wanted to give this book a try. I am so glad I did. Bryant was able to make me feel as if I had been transported back to Canton in 1935, so vivid were the descriptions. The settings were wonderfully descriptive and captured the places and feelings of the time. I felt as if I was visiting the places as they were in 1935. Ellen and Marion were perfect. They captured not only the original characters but also the spirit of the time. Ellen captured the seriousness of the times and the properness of times past. Marion captured the dreams for a better future and the effects of the 20’s. I loved the plot twist that their father was alive and accused of a crime. It added an interesting dynamic to the story and to the two sisters. The faith element in this story was wonderful. It wasn’t forced, overdone, or neglected. Each character, like in life, has a different struggle. The story gives a gentle message of faith that is woven almost imperceptibly into the story at times, yet when it comes to the end, you can see how it has been there the whole time. As with Bryant’s other books, you won’t find any objectionable content in this story. Even the romance is in keeping with Jane Austen’s gentle, non-physical standards. It is rare to find a book that deals with real issues so well yet so clean. 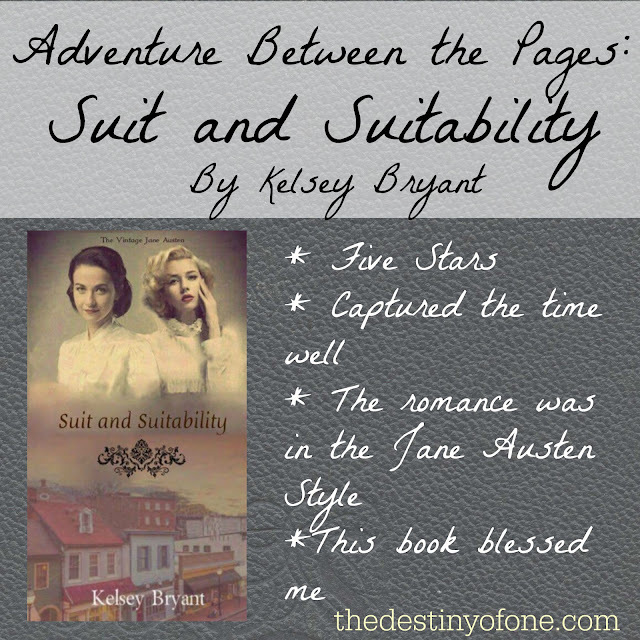 I highly recommend this to those who love historical fiction, Jane Austen, and clean fiction.